As far as caring for your lawn, mowing is one of the most basic things that a property owner can do for their grass; however, the chore of mowing can be time-consuming, monotonous, and, sometimes, exhausting. The professional lawn care staff at Outback Lawn Service offers mowing services for any residential or commercial property within the greater Baltimore metropolitan area. We have the equipment and the expertise to mow any sized lawn, from a small garden home plot to a much larger property with a lot of acreage. If you are looking for someone to assist you with your mowing projects, then contact Outback Lawn Service today. We have mowing plans that range from sporadic, one-time mowing jobs to regular, routine maintenance plans. When Outback Lawn Service provides mowing services for our customers, we also follow through with edging the areas around walkways and driveways, as well as blowing walkways and driveways, in order to get rid of small, leftover grass blades. When we are finished with a mowing project, your property will look neat and clean, we guarantee it! Our team members know that you take great pride in your property, and in how it looks, so our goal is for you to be pleased with the results that we offer. Outback Lawn Service professionals will work with you to ensure that you are happy with the mowing services that we offer. We can customize a mowing schedule that will work with your busy calendar and for your budget. Furthermore, we will carefully attend to your particular lawn, as we decide the best height to cut your grass blades, depending on the type of grass you have and the current weather conditions for our area. 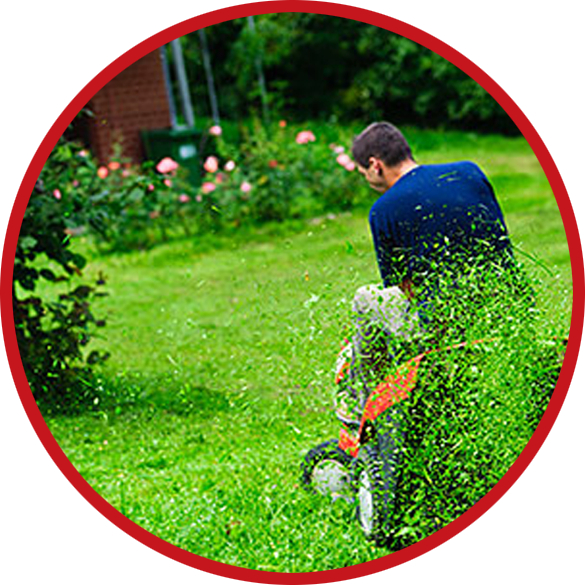 The experts at Outback Lawn Service would like to be your partners for providing mowing services for your property, so you can focus on more interesting things in life. If we may be of service to you, then please call, or email, us today. We look forward to hearing from you!